Thank you so much for everything you've done to make our wedding day special. We're so glad we'll have beautiful photos to remember exactly what the day looked and felt like, many years down the road. It was really great to work with you and again, many many thanks! 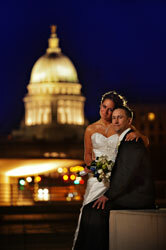 Ryan and Paisley's glowing recommendation of Paul Toepfer Photography Wedding services in the Madison/Milwaukee area. Paul was the absolute perfect photographer. We met with quite a few different photographers before we met with Paul. The moment we had our initial meeting with him we knew he would be our photographer almost right away. His charisma, understanding, and knowledge are profound. Any specifics we had he was certain to do and ensured that everything was even better than we had hoped for. Our package included the engagement session which turned out to be impeccable. Paul has a vision for how a photo will turn out that shocked us. The session was so much fun and the photos were exquisite. We also got the magnet Save the Dates which many of our family and friends still use because they are so impressed with how well they turned out. The planning and finalizing was very stress free. Paul had so much experience working with all of our vendors that it made it that much easier for us because he knew what to expect from each one. What's even better was that all of our vendors were excited to work with him. When it came to the wedding day we really enjoyed having Paul there the entire time. He was always there capturing each moment with us but never to the point where he seemed intrusive. Our guests even enjoyed talking with Paul and seeing his creativity as the day unfolded. And then the final product is completely awe inspiring. A couple of my coworkers are now saying that they regret having not gone with Paul for their weddings once they had seen our photos. I honestly can not think of one negative thing to say about Paul. 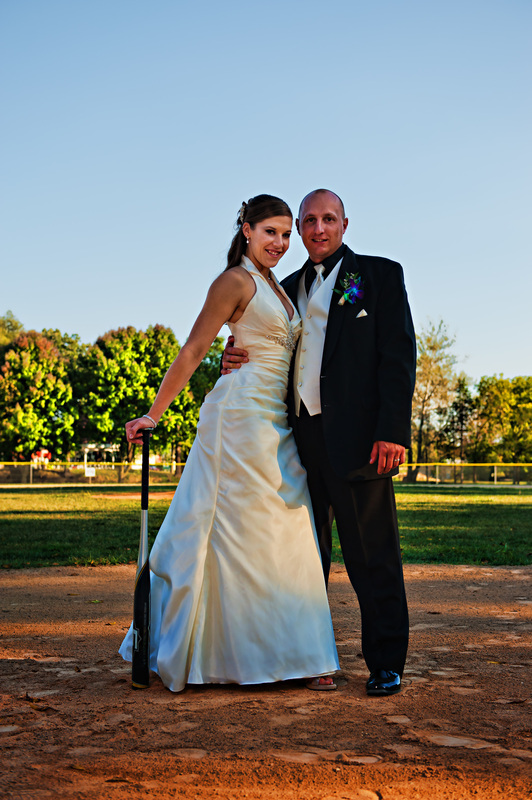 He really helped to ensure that we can reflect and treasure each moment of our wedding day forever. 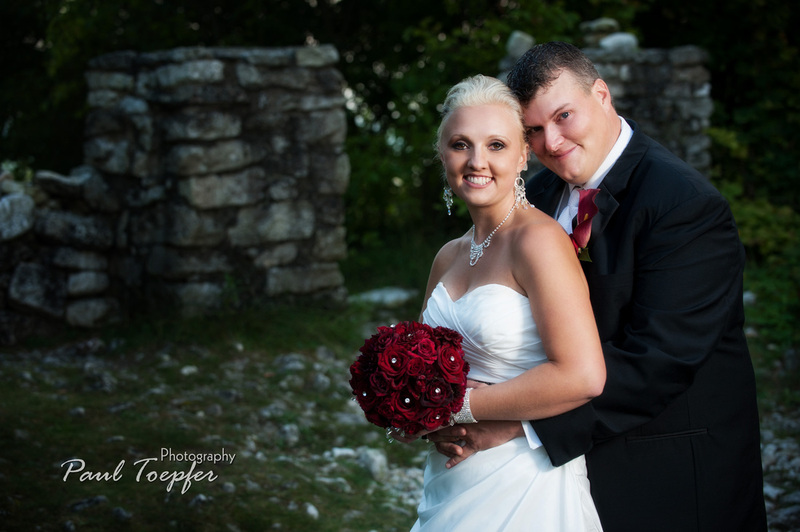 Ariel and Zach's Wedding Testimonial Review. Not only is Paul a brilliant photographer, but his professionalism and experience saved our wedding. Our big day was off to a very rocky start, and we were struggling to keep things on track. I was devastated when it started to rain right before our outdoor wedding. I didn't even want to get out of the car. Then there was, Paul handing me a white umbrella, telling me the weather would only make my wedding pictures more beautiful. He talked me out of the car, and captured more beauty in the day then we could have ever seen without him. The photos he took were breathtaking. Anything that wasn't perfect when he took the picture was perfect on our disk. I was taken off guard with how artistically he retouched our photos. Every photo he touch looked like it was from a magazine or gallery. One was even entered in a photography contest, and another used by the the historic light house museum our wedding was at. We had originally chosen a cheep photographer. After getting our engagement photos, and not finding one that we both looked good in, we decided to look for a different photographer. Paul came highly recommended to us not only from former clients, but also by several vendors. He was extremely flexible with us. From doing our consultation late in the evening, to driving to Door County to take the pictures. Paul even rushed our DVD so it could play 7 days later at our Madison Reception. Paul was worth every penny. I will always be thankful he was there that day. I am confidant no one else could have captured the beautiful details he did. I will always cherish the beautiful pictures he took. Kelsey reviewing her wedding photography experience with Paul Toepfer Photography Weddings in the Madison, Milwaukee, Chicago area. Paul is GREAT! He makes posing for pictures so much fun, and our pictures turned out AMAZING. I couldn't have asked for a better photographer. 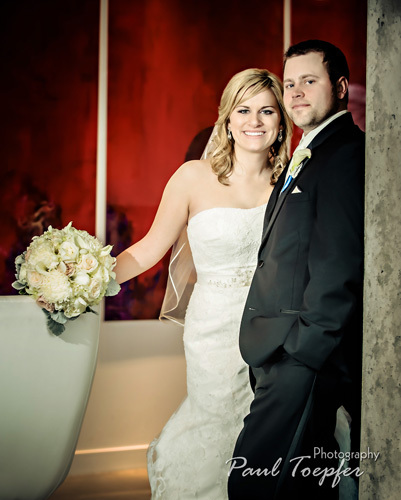 Thank you for capturing the cherished moments from Amanda and Dustin’s wedding. Your patience and willingness to shoot some of the photos we requested is extraordinary. 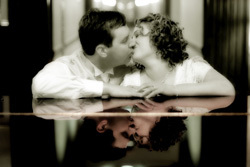 We have many beautiful memories not only of the wedding itself, but also of the fabulous engagement photos. Your professionalism and abilities were above and beyond anything we could have hoped for. The engagement and wedding albums are beautiful and we consider ourselves very lucky for having the pleasure to work with you on this special day! Morgan’s senior photos are also wonderful! I’m not sure whether or not you recall the day the photos were taken, but it was 102 degrees and quite windy. Many of the shots were taken outdoors, and you were so easy going about having to spend so much time in the heat. Upon looking at the photos, no one would ever know that it was such a hot day and that Morgan was pretty miserable and uncomfortable due to the heat. She looks refreshed and delighted and I have no doubt that it’s because of your abilities. You even had the added pressure of having to work with burned, yellow grass because of the drought, but you managed to turn that into an advantage also. There were so many fabulous photos to choose from that it was a little overwhelming. However, the process you have developed to narrow the choices down has been perfected, which made it easier for us to make our final decisions. You took the time to make sure everything was perfect and the photos definitely reflect that. 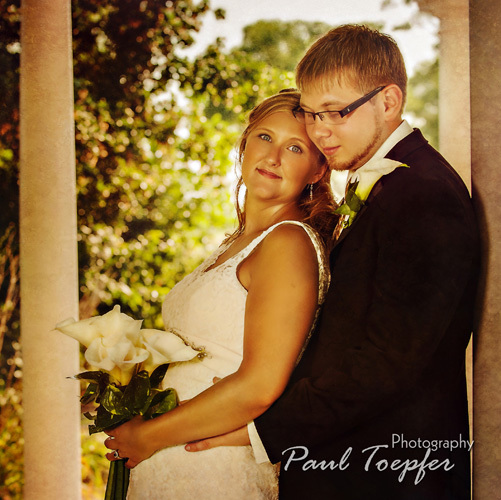 My husband and I really enjoyed working with Paul! He is very professional and he does amazing work. He has an incredible vision that he puts to life in photos. We also loved his personality- he was fun to work with and he took the time to get to know us and we could tell he genuinely cared about us and our important day. I also think it's noteworthy to point out that he was very punctual for every shoot and he kept in touch with us throughout the process to keep us updated on everything which was important to us. We loved both our engagement and wedding pictures, and we highly recommend him to anyone! Just wanted to send you a HUGE THANK YOU! The photos look great and it is going to be impossible to choose favorites! Although we both absolutely fell in love with the photos you took at sun down, the colors are fantastic!!! Thank you thank you thank you!!!!! "We finally got to sit down together to look at our Fine Art wedding album, and we are very impressed. They are truly meaningful and memorable photos. 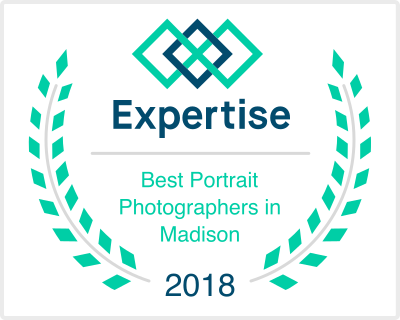 It is obvious that you approach your work with thoughtfulness, dedication, and sensitivity, and we are so thrilled that we chose you to document our special day. Many Thanks!" I am Ashlee's Mom. Hope you are doing well. I am so very, very pleased with their wedding photos!! You were so wonderful to "work with" that day (amidst all the excitement), and admittedly I fully expected the photos to be beautiful (as we had seen some of your photography work) but was impressed even beyond expectations!! Thank you so much!